Just when I get a new schedule figured out fate shuffles the deck again! Events have been happening so fast that I haven't posted in a while. I have been steadily working in the studio and also studying a bit as the conditions for painting on the beach haven't been the greatest. I also started a part time job which basically forced me to toss the previous schedule out the window! I have been busy reorganizing and re-arranging to make things go as smooth as possible. The good news is I figured out how to get exercise and meditation in. The bad news is I have to get up at 5 am and therefore to bed early. The bonus of doing that is that I can get an hour of painting in before I head to work! I am too tired after work to paint anything effective. There are still a few things to get into place but so far so good. 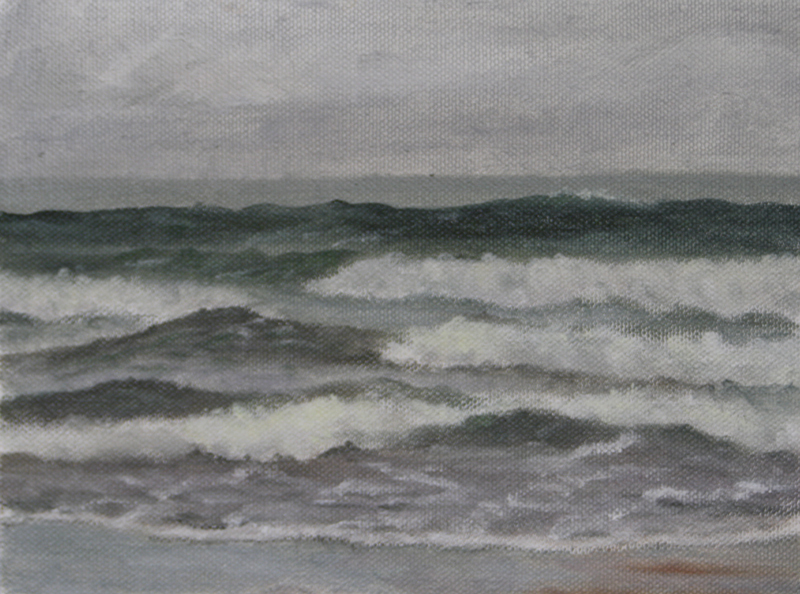 On my days off I do my best to get to the beach to paint if the conditions allow. We have had a run of beautiful sunny and warm days but they have been too windy by the time the tide rises. The waves are pretty puny too. That said, today is a day off and the day is overcast with a lovely diffused light hanging over all. It was warm and calm on the beach. The waves were still pretty small but I looked on that as a challenge. 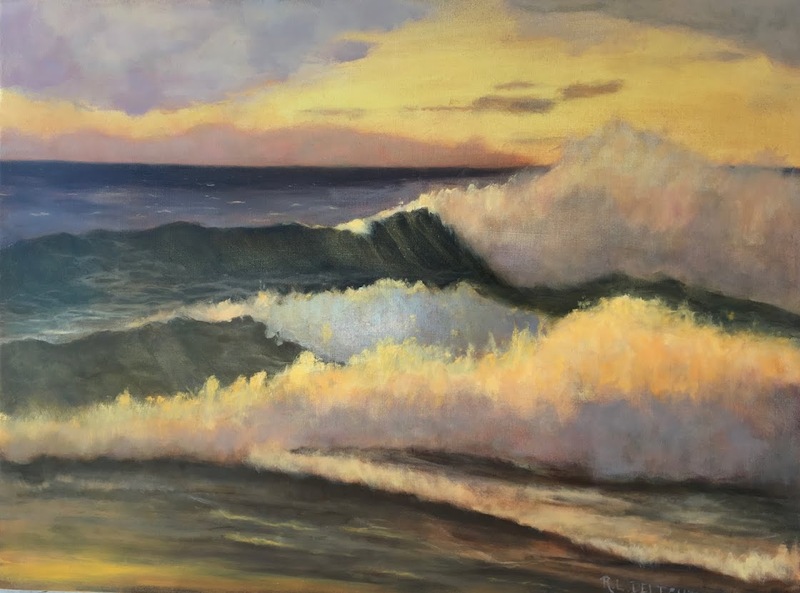 Here is Wave Study #56, painted as the tide came in. I worked on trying out some new to me brush work as well as keeping a mind on the values and edges in the wave foam. It was challenging to decide what to paint as the light and colors literally changed by the minute. I stuck to my plan and am glad I did. I am going to overlap two of my blogs slightly. My sewing had also come to a halt in all of the chaos of events but the new job has put an even greater urgency on the necessity to create some clothing. I will be updating that blog soon. I am off and running again. Feels great to get out to the beach once more and am looking forward to settling into a rhythm.